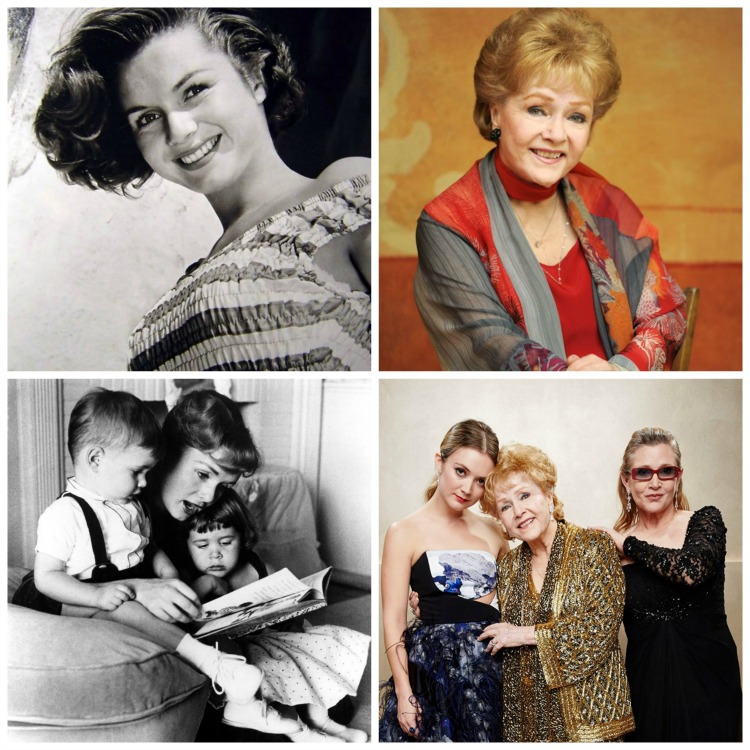 She may not have been famous for beauty like Elizabeth Taylor or for her accolades like Katherine Hepburn but Debbie Reynolds was a survivor. 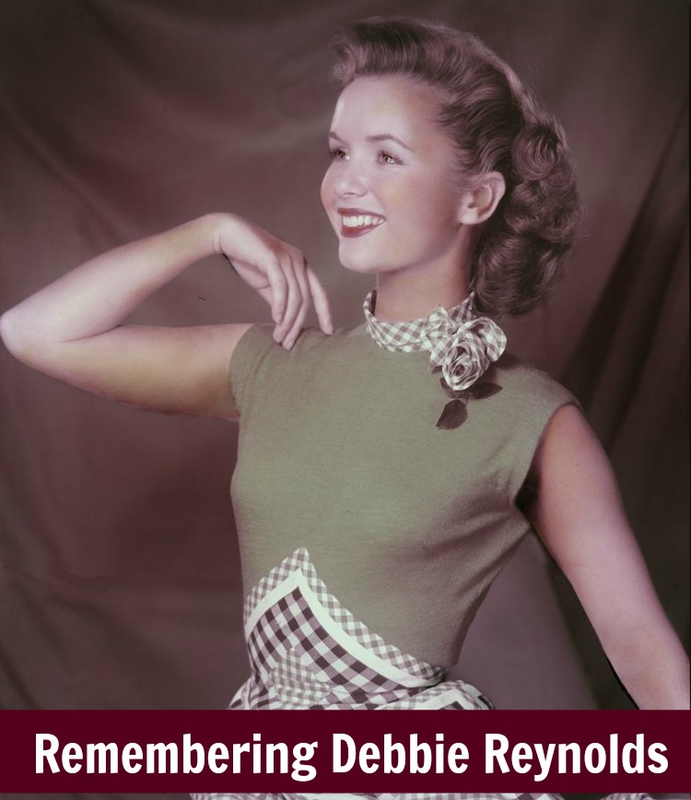 There are so many ways we can live our life, we can be a victim or be a bully, but Debbie chose to live her life in a way that surpasses beauty and accolades. When I say she was a survivor, I am saying that throughout her life when sh** hit the fan she could have ducked out and disappeared but instead she held her head up high and kept moving forward. Her tragedies and heartbreaks were very public and her taste in men as she would often say, "I happened to marry idiots ... I have very bad taste in men." So she made her children and her career as a performer her life. She worked most of the year singing and performing and spent the rest of her time dedicated to her family, friends, and her hobbies. Thing is, no matter the challenge, whether it was hers or one of her children, she faced it head on. I think there's something that happens to someone when sh** hits the fan. You have to immediately decide if you are going to lay there like a lump on a log or rise above and sparkle like a star. Everyone is different, in my opinion Debbie Reynolds was one incredible lady. Debbie Reynolds as we, the public knew her, will be sorely missed. She started in Hollywood at a time where she could rub shoulders with the likes of Fred Astaire, Clark Gable, and Ava Garner. She made lifelong friends with all sorts of actors and performers from the golden age of Hollywood. She completed her first film at nineteen years old and frankly I thought we would have more time with her. But I can see now that she gave us and her loved everything she had. Not only did she give the public an array of films to enjoy for a lifetime, but her performances, and her stories captured in three books. 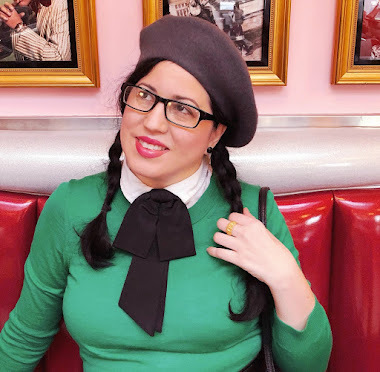 In her books she shares her life, her memories, and her amazing stories of old Hollywood that only someone who lived it could have truly shared. For all those things I am grateful. Frankly, she just seemed to be one of those folks that was born a good egg. Debbie Reynolds, you were a very good egg indeed. Thank you.